I have a confession to make. I spent last weekend in prison. Seriously. I volunteered with the University of Santa Monica’s Prison Project– Freedom to Choose. 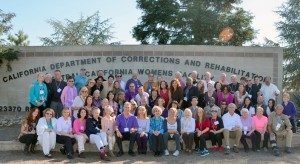 Along with 67 other volunteers, we brought a spiritual psychology workshop to 250 incarcerated ladies at California Correctional Women’s Facility (CCWF) in Madera, CA. The women there were serving time for everything from drug trafficking to robbery to murder. Our intention? To teach tools that will help them experience self-forgiveness, self-love, and compassion. I’ll be honest. I felt scared, nervous, and uncomfortable about doing this deep, intimate kind of healing work with “criminals.” After seeing prison scenes on movies and tv, it didn’t seem like the most shall we say “loving place” for healing work to be done AT ALL. I learned first hand–this was the furthest thing from the truth. The women were HUNGRY to heal–and opened their voices and their hearts to us with open arms. I heard many heart wrenching stories–full of anguish, pain, desperation, and struggle. I saw women tattooed and pierced from head to toe break down in tears, sharing their stories of what brought them to prison. But, most of all, I saw the face of God. I witnessed women journey into the deepest, darkest places within themselves to release their emotional prison– decades of unspoken, buried pain. I saw a light spark in their eyes as they experienced themselves as DIVINE BEINGS no matter what. I saw women give themselves love and forgiveness and compassion–some for the first time in their lives. And it forever changed me. If these women could do it….I mean REALLY LOVE AND FORGIVE THEMSELVES for choices they’d made that landed them behind bars….what was MY excuse for hanging on to self judgement???? Weren’t they simply a mirror to me that I DESERVE TO LOVE AND FORGIVE MYSELF FOR ANYTHING I REGRET OR AM NOT PROUD OF? Thank you to the beautiful light-filled women of CCWF. I came to prison to help you heal. But ladies, YOU are the ones who set me FREE! 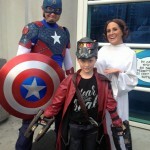 SWEET TREAT FOR THE KID IN YOU! © 2017 Renee Kohn Healing. All right reserved.